Yesterday I picked up some friends at the airport after their holiday travels. In all the pre-holiday hub-bub we had not communicated all that well so I was early, and the plane was late, so I went round and round the airport drive too many times in the crisp Florida sun. At first I was listening to disheartening stories on the radio, but then NPR’s Talk of the Nation featured an interview with S. H. “Skiz” Fernando, author of the recently released Rice and Curry: Sri Lankan Home Cooking, and I perked up. The guy sounded awkward and smooth at the same time, which always fascinates me. And then the show featured a call-in session. At first this annoyed me—each and every one of the callers just wanted to talk about herself. 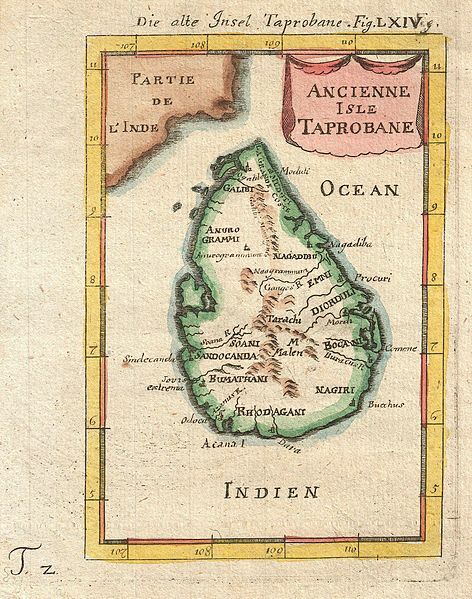 One, who admitted to living in some isolated place like Wyoming, even wanted to talk about the difficulty of obtaining kefir lime leaves, which Mr. Fernando had immediately said are not part of Sri Lankan cuisine. Another said she met Mr. Fernando when he performed in Paris a decade ago—and the radio host interjected to explain that he is also a hip-hop artist. Clearly, Mr. Fernando did not remember the caller at all, though he treated each caller gently. But then the radio show host read a few emails, including one from a guy, now living in Florida, who wrote that he had fond memories of the Sri Lanka Curry House in Minneapolis from when he’d lived there a couple of decades earlier. He noted that it has since closed, and that it didn’t include “mild” on the menu. I laughed at the collision of time and place and suddenly found myself more sympathetic to all those who called to display their memories. I too live in Florida now but lived once in the Twin Cities. The Sri Lanka Curry House was a long way from my home in St. Paul and required a car to reach, so I only ate there once. But I remember it, though it was important only because I discovered something bad about myself. I had gone there with a large group of women, some of whom were my friends. I’m not sure of the occasion, but it might have been after a lecture given by Germaine Greer. We had been provided tickets by a friend whose mother had been one of the organizers. So, if my memory is correct, we were a bunch of feminists. Several of our crew were also lesbians. It’s hard now to even remember how big a deal that was in 1979 or -80. I had some mixed feelings at the time, not so much about how any individual expressed her sexuality, but how the politics played out. Frequently, one of my lesbian housemates had told me that sooner or later I would see the light. Surely, she said, I would evolve. I could accept that she was a lesbian, but she could only accept that I wasn’t as a temporary setback. The peer pressure was enormous, and with my many man troubles, I sometimes wished that I could at least claim bisexual status. But I have never been one to cave in to peer pressure. Instead, I get stubborn and resentful. Until that dinner at the Sri Lanka Curry House, I hadn’t really felt that consciously. One of the women at the restaurant that night was named Marcie. I didn’t know her well, as she had repeatedly snubbed me at various house parties due to my retro-hetero status. As the waitresses put together several tables for our group, Marcie strutted up and down, sorting out where to sit. She noted repeatedly how much she loved hot food and how much she looked forward to this. The rest of us shuffled out of her way. Finally, she chose the middle seat on the table’s opposite side from me. I sat near a corner. From what I recall, the Sri Lanka Curry House did have a “medium” designation on the menu, and they recommended it to all non-Sri Lankans. Most of us acceded to the waitress’ recommendation and ordered our curries as mild as possible. Not Marcie. She insisted that she was a pro with curries and that she loved her food hot. The waitress tried to talk her out of it, but she shook her head for emphasis. “Very hot,” she said. Soon enough, the food came, steaming cardamom, cinnamon, turmeric, coriander, cloves, cumin, and fennel. I was not knowledgeable enough to smell the hot flavors of the chilis and mustard, and I wondered that the strongest tasting things often don’t have the most identifiable aromas. We oohed and aahed around the table, eager but tentative, taking mostly small bites and passing each other the condiments of coconut flakes and tomato relish. Marcie lifted her heaped fork to her mouth and dug in. After a moment, her face blanched and sweat popped profusely out of her forehead. I had never seen anything like it. She grabbed for her water glass. “No!” someone yelped, too late. Marcie gulped water and then grabbed her neck as if to strangle herself. “Water is supposed to make it worse,” the helper said. “It’s fine,” she said, gasping just a little. “Amazingly hot. But I’m okay.” She dragged her fork across the dish and lifted it again, more slowly this time. Everyone looked at her, then we went back to taking our own small bites of our own super-hot “medium” dishes. I didn’t figure that Marcie would eat all of her dinner, but I found myself not minding. I found myself feeling a little mean. Soon enough, the wise waitress appeared with the sweet, milky drink, and Marcie’s neighbor at the table clapped her on the back and coaxed her to sit up. “Here,” she said, “this will cool you off.” Marcie shook her head no and gasped out that her throat felt burned. So Marcie alternated between rolling her head side to side on the placemat and sipping the lassi. Eventually she sat up and wiped her face with the cloth napkin, though the sweat continued to pour. Everyone cooed around her, asking if she would be okay, patting her on the back, and reassuring her that the food was “insanely hot” and that she couldn’t have known. Most everyone ordered lassis to keep her company. I recall growing quieter and quieter as the evening went on. I didn’t order a lassi because I knew it would be too sweet for my diabetes, and no one talked about how great the food was except for the lassis. (The food was great.) One thought kept echoing in my mind: Machismo is dumb whether exhibited by a man or a woman. I had also discovered my own inescapable judgmental nature, and I knew this wasn’t a nice thing about me. This is something I have struggled with ever since. Judgment is something we all need, but need to temper with kindness. I never would have set Marcie up for such a painful episode, but the fact that I really didn’t feel all that bad for her demonstrated to me my propensity to blame people for their own ills. It might have been easy for me to do that in such a clear-cut case, but most cases of blame are not so clear. I have always had a hard time making excuses for people of the “you couldn’t have known” variety. And this has made me very hard on myself as well. Lately, I have been thinking further about the way that language can be shaped to an interpretation. Some of this has come out of my reactions to all the “lucky” and “blessed” labels bestowed on me in recent weeks. But it goes beyond that to thinking about how our interpretations in the world of politics can be so different when reality is presumably the same (or at least close) for all of us. And to thinking about so many self-help endeavors that claim that if you view things positively, you will do better. I want to make more distinctions in all of this about what we can affect this way and what we are lying to ourselves about with euphemisms. I want to be able to tell the difference. In teaching introductory creative writing, I often do a lesson about denotation and connotation. What, I ask my students, is the difference between red, maroon, scarlet, vermillion, cherry, rust, and cerise, not just in shades of hue, but in implication? What is the difference between wine and claret? Within individual word choices, of course, lies the way to truthfulness and accuracy in our writing. But they can also lead to manipulation. There have long been issues like this that are hard to split. In another memory from my college days, I actually remember having a conversation about whether or not all “nice” guys were also necessarily “boring.” Having since been trapped on many a date with a boring man, I can say that I no longer think the two words synonymous. In fact, now I think that the kind of man typically described as “exciting” might be boring in his likely narcissism and avoidance of depth. I wouldn’t use the word “exciting” to describe such a person at all. I would describe my husband both as exciting and as one of the nicest guys on earth. What, I might ask, is the difference between mild, medium, hot, and very hot? I am setting as one of my New Year’s resolutions to think about how to make these relationships between words and the world meaningful, and also to at least consider a kind interpretation when I can. Marcie, after all, could never have known how hot “very hot” was, even though I still feel a touch of satisfaction that she found out. Wink. May we all have spicy kindness in the new year. Posted in Culture & Arts, Food, Relationships, Writing and tagged antonyms, kindness, New Year's resolutions, NPR's Talk of the Nation, S H Skiz Fernando, Sri Lanka, Sri Lanka Curry House. Bookmark the permalink.